People in Lugansk after an artillery attack on July 18, 2014. 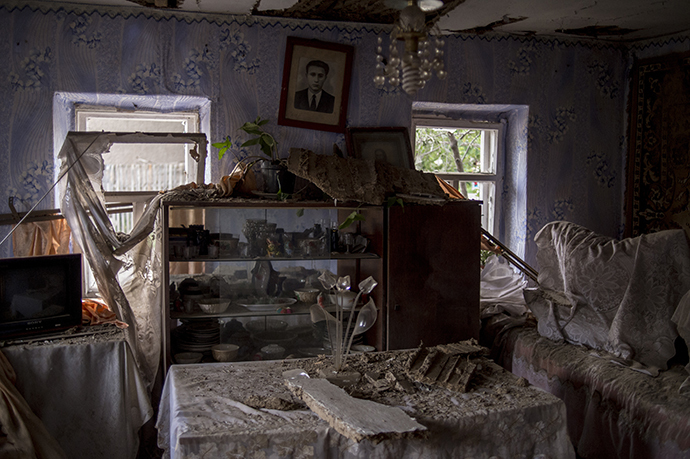 A private house damaged by Ukrainian army's shelling of Lugansk on July 17, 2014. A burning residential house after an artillery bombardment of the city on July 18, 2014. The aftermath of an artillery attack on Lugansk on July 14, 2014.